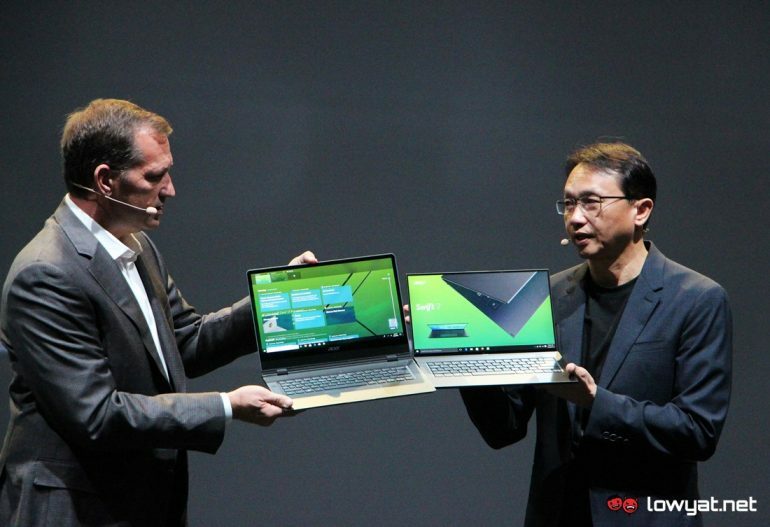 Acer Swift 7 is already one of the lightest and thinnest laptops in the market, but it turns out that the Taiwanese giant is not done with the series just yet. 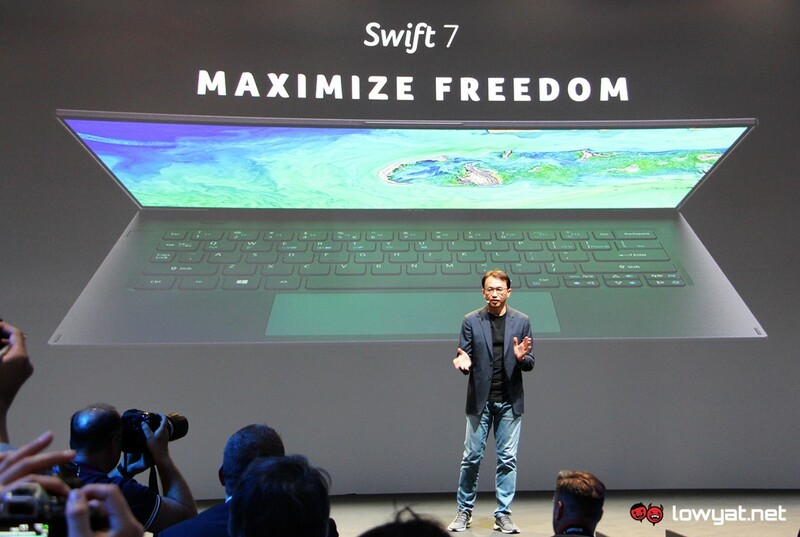 Over at its IFA 2018 Global Press Conference (GPC) last week, the company has decided to show off the next generation Swift 7 which is even more compact than the existing model. 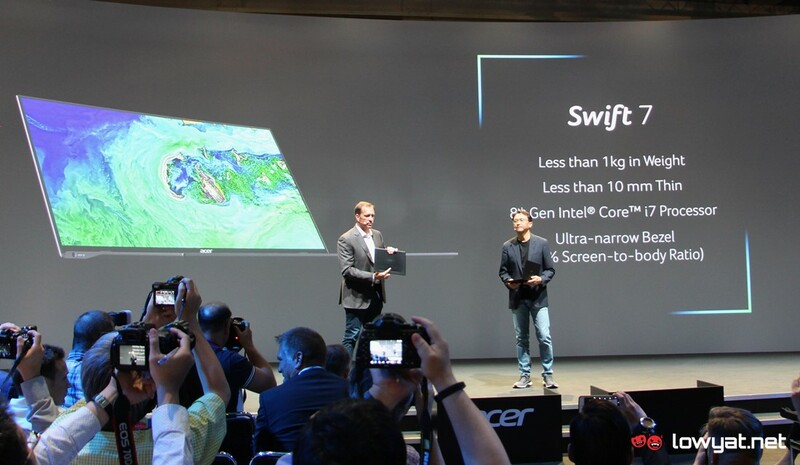 There wasn’t much information that Acer has shared during the event but among such info is the thickness or rather the thinness of the next generation Swift 7 is still less than 10mm as per the current model. That being said, it is lighter though at less than 1kg which put it in the same league as per its sibling, the Swift 5. Not only that, the upcoming laptop will also feature a very slim bezel on its display at 4.27mm and this apparently helps the laptop to achieve around 92% screen-to-body ratio. Other than that, Acer has also gotten rid of the lower bezel on the laptop’s display area and opt for a new hinge design. 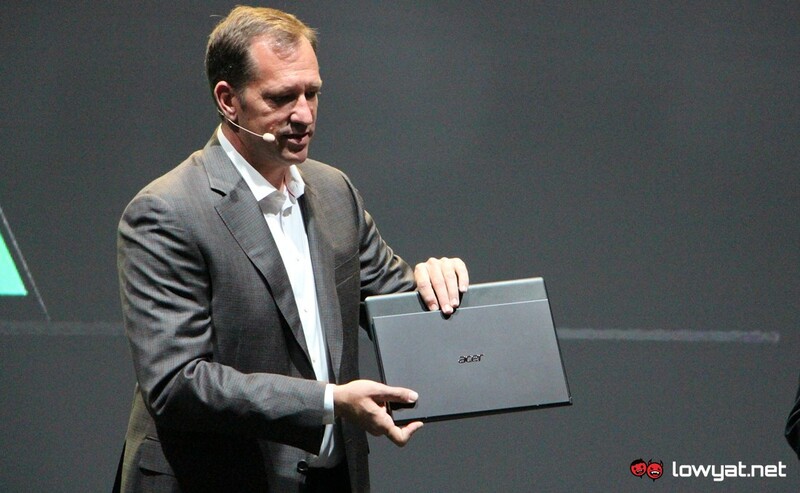 Powered by an unnamed 8th gen Intel Core i7 (although we suspect it is the one from the newly launched Y-series lineup), the result behind these design implementations became very clear once Acer brought a unit on stage during its IFA GPC. The difference in terms of size between the two generations of Swift 7 was rather visible at approximately 20%. Unfortunately, we didn’t manage to have a closer look at the next generation Swift 7 though as it didn’t make any appearances off the stage. Acer also didn’t release any release or pricing details regarding the device which is why we don’t expect it to be available in the market anytime soon.